Resistant, light and easy to clean, this foldable table can be used inside and outdoors. 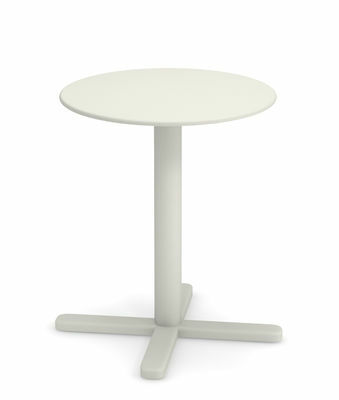 The top folds away easily, so you can store the table away, if necessary. The Darwin fits just as well into a private environment as public spaces (public areas, bars, restaurants). With more than fifty years’ experience in metalworking, Emu expresses its style in gardens and terraces all around the world. Emu creations have become icons in the world of "made in Italy" design and quality.